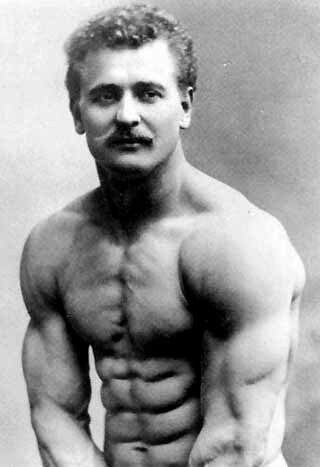 This photo is of the "Father of Modern Bodybuilding" Eugen Sandow. It was taken in the 1800s (well before barbells and fitness gyms were common place). He was unbelievably strong too. He could do a one-armed chin up using any single finger on either hand. If there's one old school strongman/bodybuilder you should know, it's him.